Shannan, a Love Notes participant, stopped by my office today. She traveled all the way from her office on campus to say hello. That’s right! One of the participants and I live in the same area and work at the same university. What are the odds? We discovered this just after the October round began. Furthermore, I had been following her blog and never made the connection between the blogger and the grant writer who helped me with a recent grant proposal. The world is so much smaller than we think, and I’m always surprised by that reality. Anyway, her stopping by reminded me that I hadn’t written about my October Love Notes! 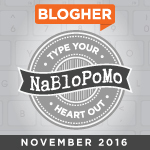 As you may recall from an October post, Love Notes is hosted by Jennifer Belthoff. Participants sign up for the swap on her website, and then she assigns partners–notified via email–who correspond with each other for three weeks based on a prompt she provides each Sunday. My October partner, Martha Slavin, is an artist and writer who resides on the West Coast. She sent beautifully designed cards with well-considered messages. For the week two prompt, “Don’t forget to remember…,” Martha sent a community themed postcard that underscored the message she wrote on the back. “How to Build a Community,” Text by members SCW Community. Karen Kerney, watercolor and colored pencils. If you’re interested in the postcard art, you can find more information here: Syracuse Cultural Workers. It can be purchased in various forms–print, notecard, bookmark, t-shirt. What blows in the wind? songs. leaves. smoke. dust. memories. seeds. scents. Mary Poppins. rain. sleet. snow. hail. storms. sailboats. birds. hats. thoughts. feathers. doors. whispers. bubbles. petals. curtains. longings. Who wouldn’t love a poem in which “Mary Poppins” makes an appearance? Notice the mix of abstract and concrete? A lovely reminder of the life-sustaining contribution of trees. I also received cards from other Love Notes participants–Christine, Lorelei, and Jacki–but I’ll share those tomorrow (maybe). For now, take a few extra moments to enjoy Martha’s pretties. You can find more of Martha’s art and writing at: Postcards in the Air. Save the date: The next round of Love Notes begins January 2017. Wonderful. Words and actions to live by. Beautiful to see, and to read! Chandra, you just filled my heart with joy. Thank you for featuring me on your beautiful blog. I’m so glad you and I connected through Jennifer Belthoff’s Love Notes. Your work is beautiful and I’m happy to share you with the world. Hugs!